The Doctor emerges from a long isolation as a university professor in Bristol to help a curious young woman deal with an extraterrestrial puddle. When you watch Doctor Who Season 10 Episode 1 online, the Doctor has been for decades serving as a professor at a university in Bristol, aided by the faithful Nardole. No one knows what exactly he's a professor of, but everyone attends his lectures, even when the content isn't what was on the course material. A young woman, Bill, is bright and curious, and sneaks into his lectures. After he notices, he offers to be her personal tutor. So when Bill runs across an odd puddle and a friend mysteriously vanishes, the Doctor takes a keen interest, especially when he realizes that the puddle of water isn't a puddle of water at all, and their reflections aren't reflections. And, boy, is Bill shocked to discover the truth about the eccentric man who's been tutoring her! It's up to the Doctor, Bill, and Nardole to discover what happened to Heather, why she seems to be pursuing Bill, and if this has anything to do with a mysterious locked vault underneath the university. The adventure will lead the three heroes from Bristol to Australia to the other end of the universe, and back again. 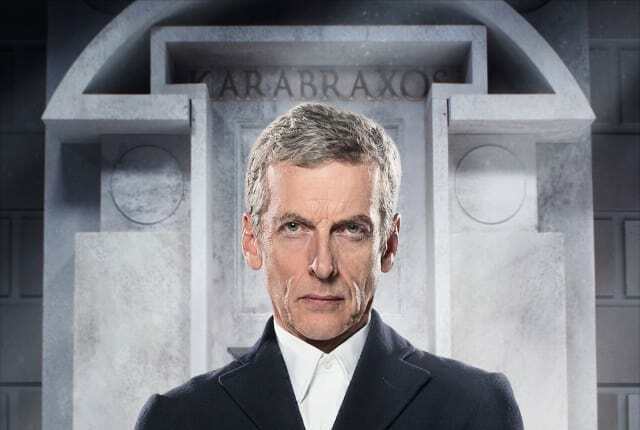 Find out what happens when you watch Doctor Who Season 10 Episode 1 online. Time. Time doesn’t pass. Time is an illusion. And Life is the magician. Because Life only lets you see one day at a time. You remember being alive yesterday, you hope you’re going to be alive tomorrow, so it feels like you are traveling one to the other, but nobody’s moving anywhere! Movies don’t really move. They’re just pictures, just lots and lots of pictures, all of them still. None of them moving, just frozen moments! Poetry, physics, the same thing. Permalink: Poetry, physics, the same thing.